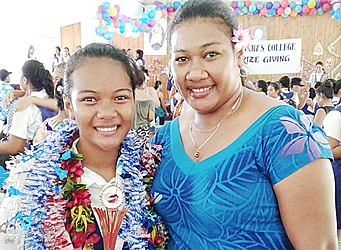 Young Delphine Silao with mother, Corretti after the St Mary’s College prize giving. Delphine came first in her Year 10 class and was placed 2nd in the level. Her dream is to become a doctor.